Providing you the best range of frp storage tanks, 2000 kl frp tank, hdpe chemicals storage tank, hdpe frp tank and pp frp tank with effective & timely delivery. Color Green, Yellow and Client Requirement. 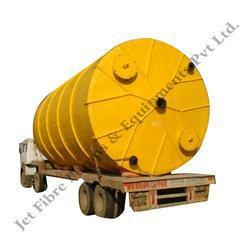 We are a renowned name, which is engaged in delivering an unparalleled range of FRP Storage Tanks. These products offered by us are made using superior grade raw material and latest techniques in adherence with the industry laid norms and standards. Professionals appointed by us ensure to cater to the diverse requirements of esteemed clients, by offering a customized forms of the offered range in different specifications such as sizes, capacities and allied. We are engaged in offering our esteemed clients with a qualitative range of FRP Tanks. Our range is at par with the international quality standards and is ideal for both over ground and underground installations. 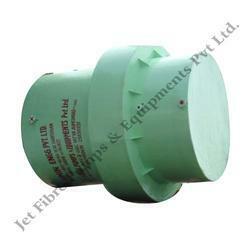 These are widely used to store various corrosive chemicals and are made available in capacity of 200 KL. Moreover, our range is acclaimed for corrosion resistance, quality manufacturing, ease of installation, and minimal maintenance features. Capacity 500 - 75000 LTR. Each tank is fabricated by means of imported welding gun. These tanks will not leak, rust chip or corrode and are durable enough to withstand extreme service environments and harsh outdoor weather. 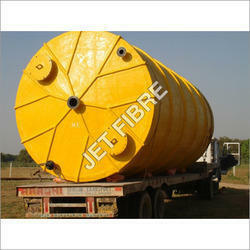 Backed by 20 years of experience, we offer premium quality & wide range of HDPE & PP Spiral Tanks. These tanks are available in any cylindrical vertical, cylindrical horizontal, square & rectangular shapes. Chemical storage tanks are manufactured by Chemical Grade imported and 100% virgin raw Material. Manufactured by unique process of "Winding" these tanks are ideal for storage of diverse range of chemicals, effluents and other corrosive materials. 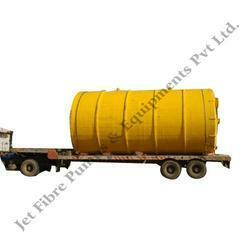 We are engaged in offering our clients with an impeccable array of HDPE FRP Tanks. These are stringently manufactured using qualitative process and imported raw materials. Our range is at par with international standards and offered in different storage capacities. These are widely used in varied industry verticals and are also offered in customized specifications as per the clients’ requirements. Our prestigious clients from different chemical processing units and other sectors can avail from us a qualitative range of PP FRP Tanks. These are manufactured using quality fiberglass and polyester resins to offer robust structure and durability. Our range is in accordance with the set industry standards and offered in varied capacities. These are also made available to our clients in customized dimensions of width and length as per their industrial requirements. Looking for FRP Tanks ?